Disclaimer: This article is solely based on my personal experience completing both programs. I graduated from CSNN in 2008 and from UBC in 2009 so there is a good chance that the curriculums and course material have changed since then. I am sharing my experience and opinions about both programs because we often only hear about one side or the other. I highly respect both schools, and for myself, I found it very beneficial to complete both programs. I had decided in High School that I wanted to become a nutritionist. I became vegetarian at the age of 10 but I had no idea what I was doing. This is what initially sparked my decision to become a nutritionist. Combining my long-time interest in science with my passion for food and health, the decision to study nutrition was a perfect fit. After high school, I attended my local college for two years to study general sciences. After college, I transferred to the University of British Columbia (UBC) with the goal of completing their dietetics program. Even prior to going into this program I knew there were certain aspects of dietetics that I didn’t quite agree with. However, even with these concerns, I still wanted to complete the program and then practice a more whole-food approach to nutrition after I graduated. The UBC Nutrition Program is four years long and you graduate with a Bachelor of Science (BSc) in Food, Nutrition, and Health (FNH). To become a dietitian, you start in the nutrition program and then apply for the dietetics program and graduate after five years as a Registered Dietitian (RD). The fifth year of dietetics consists of an internship in a hospital. With both options, you take nutrition, agricultural science, and general science courses throughout the four years. In addition, there are a few nutrition courses in the fourth year that are specific to the dietetics program. During my first few weeks in the nutrition program, I began to realize that graduating with a BSc in Nutrition was a better option for me instead of going into the dietetics program. Interning in a hospital and not having a choice in the type of food I would be giving patients was something that conflicted with my values. I could see myself sneaking in home-cooked meals and trying to set up a smoothie bar! Another concern was realizing that being a dietitian meant having to base your recommendations on the Canada Food Guide. In addition to this, there was also a big emphasis on the numbers and amounts of nutrients in food, rather than looking at the quality of the food itself as a whole. Of course, there are some dietitians who have a focus on whole-foods, but this comes from a personal interest for learning and researching nutrition outside of the UBC curriculum. After 5 years, I graduated from UBC with a Bachelor of Science in Nutrition. The science and agricultural science courses that were part of the program were thorough and encouraged critical thinking. It was only the nutrition courses that really felt was incomplete. This is why, during my third year at UBC, I decided to enroll in the Holistic Nutrition Diploma Program at the Canadian School of Natural Nutrition (CSNN). For one year, I went to UBC part-time while also doing the full-time program at CSNN. It was interesting to experience the different perspectives of the two programs. The main difference was how food was viewed, as well as the key role that proper digestion plays in one’s health. Here’s a summary of the differences I experienced. • All that determines one’s health when it comes to nutrition are the amounts of protein, fat, carbohydrates, vitamins, and minerals that one consumes, but not the type or quality of food that is actually providing these nutrients (because all that matters is the number of nutrients, common meal replacement drinks are often recommended by dietitians at hospitals – you can read my summary of meal replacement drinks HERE). • Subclinical digestive symptoms play a huge role in our health. These include looking at low stomach acid, the microbiome, parasites, candida, food sensitivities, levels of digestive enzymes, liver/gallbladder health, stress and adrenal health, and more. Absolutely! I really enjoyed the in-depth studies of the various science courses at UBC, as well as the community projects that were part of the agricultural science courses. However, I wouldn’t have been able to be the nutritionist I am today without also studying at CSNN. Overall, it was a valuable experience to have the science courses from UBC combined with the holistic nutrition courses from CSNN. My BSc in Nutrition gave me a thorough foundation for being able to distinguish good nutrition science vs. food fads. Taking the holistic nutrition course created a sound basis for connecting digestive health, individuality, emotional and mental health, and food quality with scientific nutrition studies. Shawna Barker BSc., RHN is a nutritionist, raw food educator, college instructor, and an expert in plant-based nutrition. She is passionate about natural health and sustainable living. This interest led her to graduate with honours from the University of British Columbia with a Bachelors of Science degree in Food, Nutrition and Health, as well as the Canadian School of Natural Nutrition with a Diploma in Holistic Nutrition. Shawna began her journey into health and nutrition over 24 years ago when she decided to change her diet at a very young age and was determined to learn everything she could about nutrition, food science, natural health, and how to thrive on a plant-based diet. 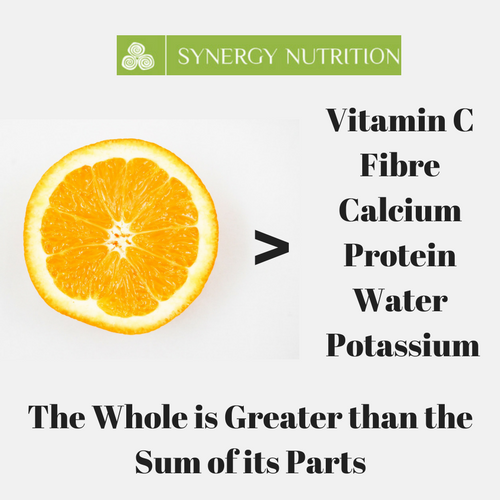 As the founder of Synergy Nutrition, she is able to teach, inspire, and motivate her clients and students about the benefits of nutrition and natural health. Drawing from her background in both science and holistic health she is able to supply the inspiration and knowledge to support her clients’ health with a comprehensive program including individualized diet, supplement, and lifestyle recommendations. Shawna Barker BSc., RHN is a nutritionist, raw food educator, college instructor, and an expert in plant-based nutrition. She is passionate about natural health and sustainable living. This interest led her to graduate with honours from the University of British Columbia with a Bachelors of Science degree in Food, Nutrition and Health, as well as the Canadian School of Natural Nutrition with a Diploma in Holistic Nutrition. Shawna began her journey into health and nutrition over 24 years ago when she decided to change her diet at a very young age and was determined to learn everything she could about nutrition, food science, natural health, and how to thrive on a plant-based diet. 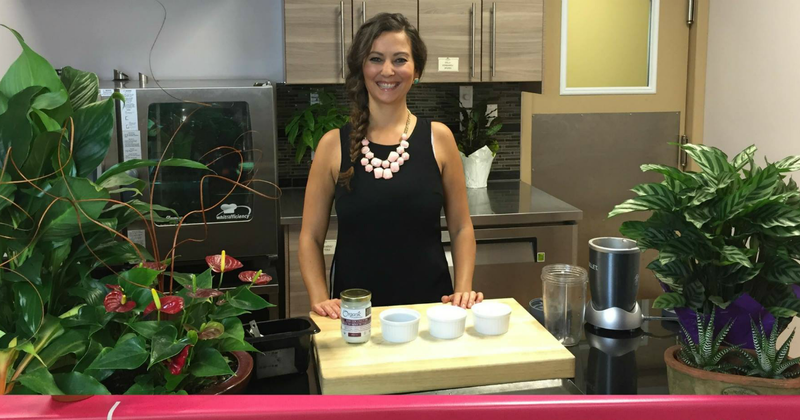 As the founder of Synergy Nutrition, she is able to teach, inspire, and motivate her clients and students about the benefits of nutrition and natural health. 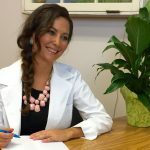 Drawing from her background in both science and holistic health she is able to supply the inspiration and knowledge to support her clients' health with a comprehensive program including individualized diet, supplement, and lifestyle recommendations.